I didn't know old flags could be recycled. It made an interesting quilt. He did a wonderful job on his quilt. This project is brilliant, he did such a great job! Love having a new quilter on the horizon and he looks as tho he'll be back for more. 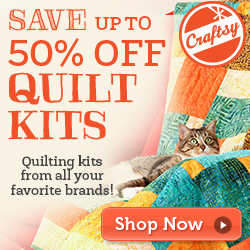 You all are so kind to new quilters, it speaks volumes about you and I am pleased to have found your blog. Great finish, the flags worked out very well. It's great that another young person is being taught to quilt and wanted to learn. Any child we can get interested in things that will keep them off the streets is an awesome thing to do. It's great that you took the time to help this young man learn how much fun it can be to create a quilt. Sadly, I was shocked seeing the desecration of the United States Flag! It's possible you aren't aware using our country flag in this manner is wrong which is why I am speaking up. I was going to write privately, but recycling the U.S. Flag is wrong and I feel everyone should know this if they don't already. We have many of our military still deployed, with many still losing their lives daily. Their wives or husbands are home worrying about them. I wonder how upset they might be in reading this post seeing something that represents our country being ripped apart this way. My own husband is a former Marine, and seeing this honestly made him sick to his stomach to see someone disrespecting our country's flag this way. I hope anyone reading this post aren't going to come up with their own ideas for a project doing the same type of thing with our Flag. It shows complete disrespect to our country in my opinion. This young man now thinks it's ok to cut up something that represents our country. When he had this idea to use the flag, in my opinion, it would have been a great time to teach him the proper ways to treat our Flag and how it is wrong to do anything with it other than to display it in the proper manner, and what the proper ways are since our schools no longer do. In fact, prior to 1989 there were Federal laws and regulations with criminal punishment for the desecration of the flag to include a fine and/or up to 1 yr in prison. (See http://www.usflag.org/uscode36.html which speaks of the criminal penalties for acts of desecration to the flag for more regarding this) While there are currently no criminal penalties after the court ruling in 1989, the American Legion Organization's website (see http://www.legion.org/flag/faq) states they are currently attempting to working toward securing a constitutional amendment to protect the flag from physical desecration. I hope those who have read this project do not start creating projects of any kind using the United States Flag as it is disrespectful to our country to do so whether there are currently any penalties or not. If any want to be further educated regarding our Flag, please click the links below to read the United States Flag Code, especially those sections I mentioned. "The Flag Code" Title 4 of the United States Code, Section 8 http://www.senate.gov/reference/resources/pdf/RL30243.pdf link opens a PDF) which starts "No disrespect should be shown to the flag of the United States of America....."
See Sections (d) specifically and (e) and then in section (j) which states "The flag represents a living country and is itself considered a living thing"
I am sorry this was so long, but I know from past history that many people do not even realize there is a Federal Code in place regarding the United States Flag. Educating those regarding this is how we all learn. As I mentioned, this was the reason I chose to post this to a comment rather than to send it privately.